Does your Westwood Hills Furnace Plumbing need Installation or Repair? If you want to make it through the next Westwood Hills winter, you’ll need to ensure that your furnace's plumbing system is in order. Kevin Ginnings Plumbing Service Inc. can do this through our Westwood Hills Kansas furnace plumbing services. 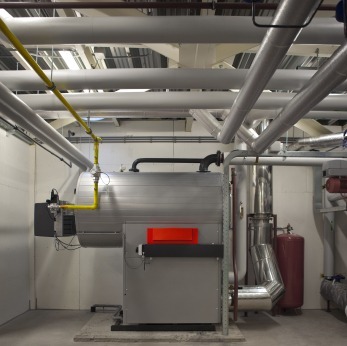 If you're not getting enough heat out of your Westwood Hills furnace, one possibility is that you have mineral deposits in your heat exchanger. If you noticed a gradual drop in your furnace's efficiency, this is a likely problem. At Kevin Ginnings Plumbing Service Inc., we can remove this hard-water buildup from your heat exchanger to make your Westwood Hills furnace good as new. Since 1985, we've been helping Westwood Hills furnace owners with their hot water piping needs. If you've got an older Westwood Hills home, chances are you have copper piping. A problem with Westwood Hills metal pipes is that hot water can cause them to oxidize and corrode quickly. Kevin Ginnings Plumbing Service Inc. can replace these with modern PEX pipes that can withstand the heat better. If you notice that your Westwood Hills furnace is leaking water, there could be a number of things going on. There may not be enough air in your expansion tank, or you could need a new pressure relief valve. Kevin Ginnings Plumbing Service Inc. has enough experience working on furnaces in Westwood Hills to spot all of these problems and many more. When your Westwood Hills furnace is leaking or having water problems, we at Kevin Ginnings Plumbing Service Inc. make it our mission to get you and your family warm and dry again as soon as possible. Call (816) 832-4322 today and see why so many satisfied customers have chosen Kevin Ginnings Plumbing Service Inc. for Westwood Hills Kansas furnace repair!